You know how when your parent doesn't like something, you tend not to like it either? 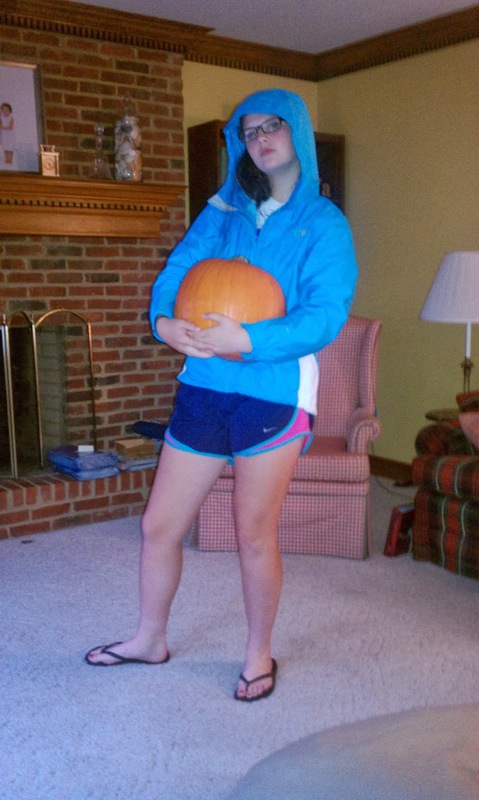 This is the case for anything pumpkin in the Scroggin household. I never grew up eating pumpkin pie or having pumpkin foods for any occasion. But I was kind of feeling left out with everyone freaking out over Pumpkin Spice Lattes (never had one, sorry) and pumpkin brownies and pumpkin puppy chow and just really enjoying a pumpkin life, but I've had pumpkin bread and soft cookies before that I loved. So I decided to go against my mom's distaste of the big, orange, seasonal fruit. I made pumpkin cookies, and I made a lot of them. 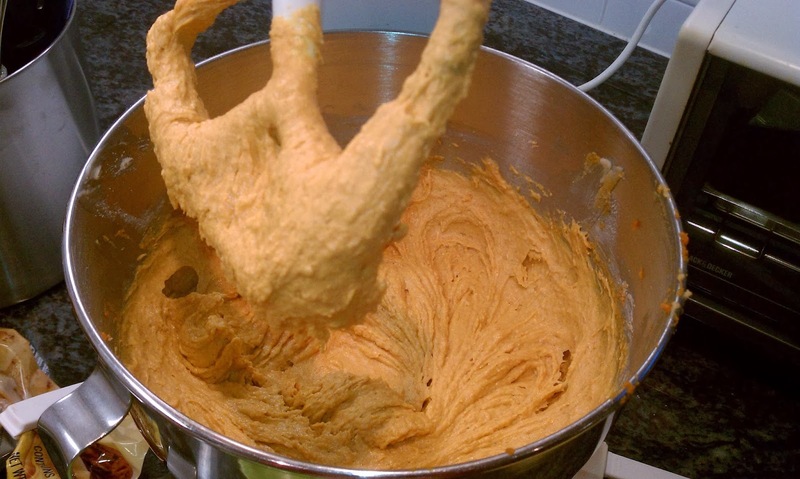 One time, my friend made a 'healthy' version with just a can of pumpkin puree and cake mix. I'm always for anything healthy, but 1) I didn't have a cake mix and 2) wanted it to be real sugary (sorry.) 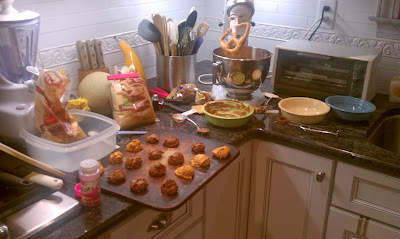 So I went looking for a good, from-scratch pumpkin cookie recipe...but there were way too many of them to choose just one. I decided on this recipe as a base dough, then went adding lots of different things to the batch. Our kitchen was a big, orange mess. I took 1/4 cup of dough and mixed in 1/2 tbsp. of brown sugar. These were pretty good, but other than the fact that they were a tad more moist, they didn't taste too different from the base. With 1/4 cup dough, I added 2 tbsp. of white chocolate chips. I'm in love with white chocolate generally, so I loved these. A friend at school tried this one and said that they had two different flavors that complement each other. Fair assessment, but not the best batch. I had this thought that I wanted to add cocoa powder, but with my original base dough, I didn't want to completely change my recipe. So I just played with it a little (Note: I'm no food science expert nor a professional baker, but I felt like it when I was just adding things in. Isn't that the beauty of baking?) and took 3/4 cup of dough and added 1 tbsp. of cocoa powder and 1 tbsp. of brown sugar. These were incredible. They had the flavor of pumpkin still included, but also the rich chocolate made it such a great taste. 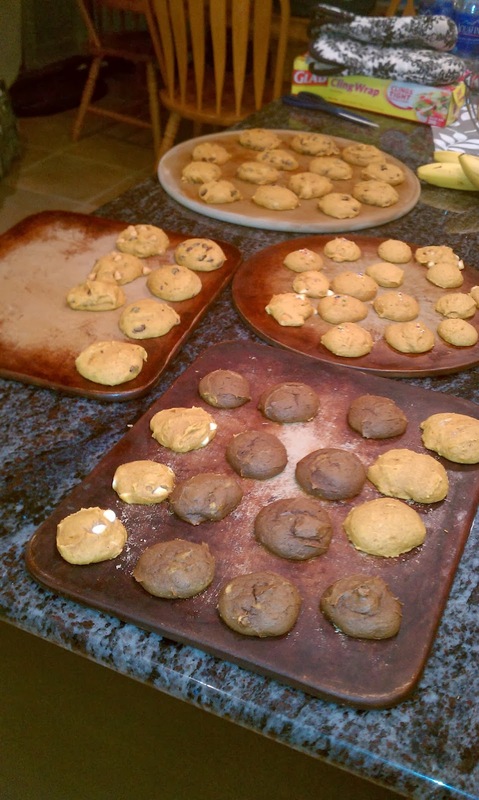 This batch was probably my personal favorite. This was by far the winner when I took them to school. I made all of my friends try each of them, and they all told me that this was their favorite. When in doubt, just add chocolate chips. It makes anything better! I took the remainder of the dough (about half) and threw in however many chocolate chips I felt were enough (this is just so freeing); about 1/2 cup. I'll tell you what, I felt like such a little baking nerd trying to figure out what was good with what. I love following recipes, but I also love playing around with food until I like it! And now, of course, I love pumpkin cookies...I think my sister loves pumpkins, too. Cream butter and sugar together until fluffy. Mix in dry ingredients until well combined. Add in egg, vanilla, and pumpkin until well mixed. Make sure that the pumpkin is well combined with the rest of the dough and that the dough is a light orange color (no bright orange). Stir in chocolate chips. 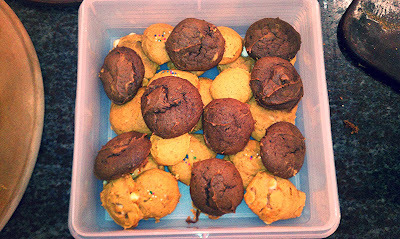 Drop cookies into 1 tablespoon balls onto prepared sheets and bake for 17-20 minutes and let set. Enjoy! 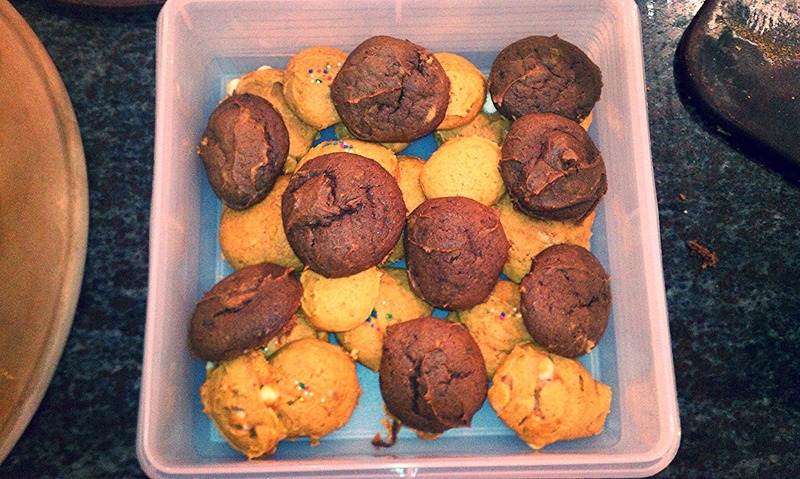 I hope you enjoy your pumpkin cookies! Feel free to add in what I included at the top (especially those cocoa powder ones!) and let me know how it goes! My friend told me that if I made the cocoa ones with chocolate chips in it, it'd be incredible...I'll save that for next time! These look delicious! I am going to try to have to try this recipe out! Thanks, I hope you like them!